So says Matthew in the Bible. The fish in question is apparently a haddock and the dark mark under its dorsal fin is the thumbprint from where St Peter hoiked it out of the sea. As we know, there are no haddock in the sea of Galilee and this isn’t down to overfishing. 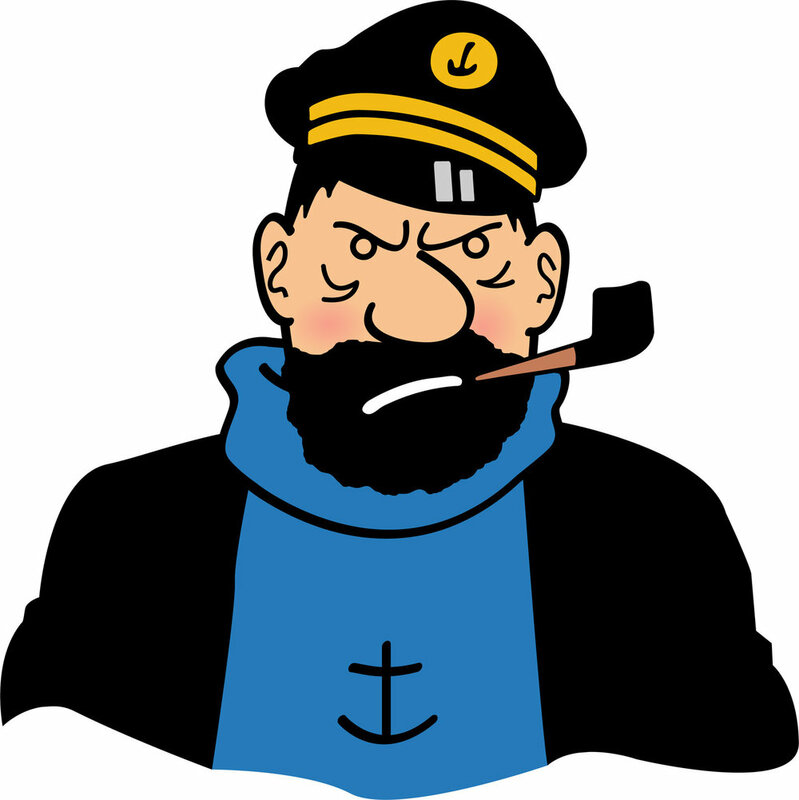 But, like the picture of Captain Haddock, it’s content, so we’ll leave it in. Cousins of the cod, haddock have a similar range. They are often found in similar habitats and are therefore often caught together. Haddock are much smaller than cod, rarely reaching more than a couple of kilos in weight. They are faster growing too, feeding mainly on small invertebrates. Haddock grow faster than they used to, which some attribute to fishing pressure and their spawning success can vary widely from year to year, so it seems while they get bigger quicker, they’re probably not reaching sexual maturity any faster. They’re similar to cod in terms of body shape, but smaller and lack the mottling and white line. Haddock are easily recognised by the black lateral line running the length of their body. Most haddock are caught by trawlers targeting cod. They’ve been serious casualties of a process called high-grading. High grading takes place in mixed species fisheries (e.g. where cod and haddock are caught in the same trawl net). Less scrupulous skippers will fill their holds with cod and haddock and rather than return to port when they’re full, they keep fishing. As they land more fish, they start chucking the small haddock out, then the medium and large haddock, then the small cod and the medium cod. Until they have holds full of large cod, which they get a better price for. As you can imagine, this has had pretty disastrous consequences for stocks of both cod and haddock, partly because we have absolutely no idea how many fish die this way each year. It’s a practice that will hopefully be outlawed by the new landing obligations coming in in 2016. That said, our haddock comes from our fishermen, who don’t high grade- it’s quite hard to fill up your boat in a day. They’re caught on handlines or static nets by our guys in Cornwall- we’ve yet to see a haddock in the Channel. Haddock are often thought of as a runner up to cod. But head up north and haddock’s the go to fillet in fish and chips. Northerners and Scots are proud of this and so they should be. While not as, white and flaky as cod, they’ve got a meatier, sweeter flesh than their larger cousins, an attribute that makes them all the better for smoking. As Alan Davidson says: ‘The haddock is held by many, including the knowledgable Icelanders, to be superior to the cod. At its best it is very good indeed’. 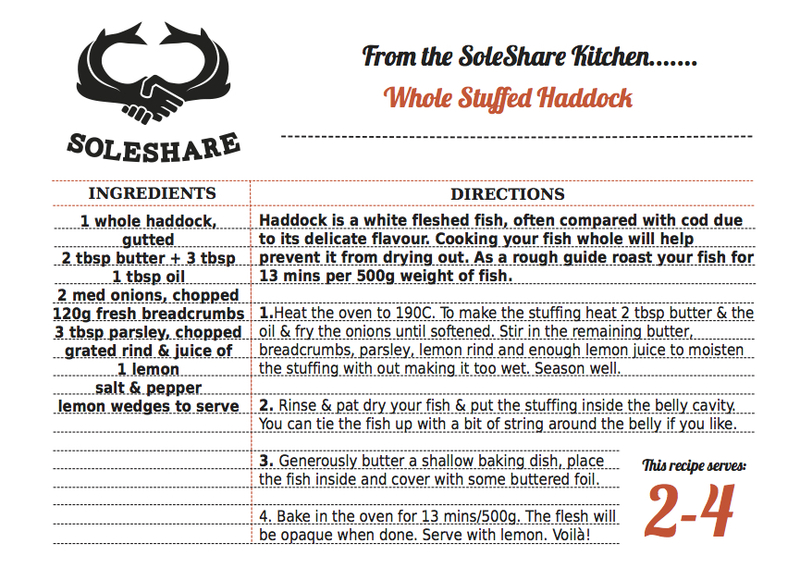 Cook haddock as you would cod and you will not be let down.